DIAGNOSIS, PROGNOSIS AND BEYOND ( adapted from Women of Silence – The Emotional Healing of Breast Cancer-Grace Gawler pub 1994, 2003. Click here to buy your copy – also available in e-Book.) Only available from the author. It was noticeable in the early days of conducting support groups, that when people spoke of their lives and their cancers, other patients in the room would begin to nod knowingly as they identified how their own story aligned with those dealing with the same cancer. We all have an ability to switch off our life force and lose our passion for living. There are many stories from indigenous cultures of people who consciously died because they believed the would. Perhaps such a message triggers a powerful belief that causes the soul to leave. This ability has also been demonstrated in many indigenous cultures including the Australian aborigine, the Kikuyu of Kenya and the bushmen of the Kalahari. There have been many instances of this phenomenon. These cultures live very much in the here and now, so when imprisoned, they believe it is forever and they simply die. They lose their will to live or will to be because they see no end to their situation. Tribal indigenous Australians are known for the phenomenon of “bone pointing” where healthy individuals die because their belief system supports the tribes medicine man who has a position of power and authority. What is a Placebo? The Placebo effect (Latin placebo, “I shall please”), also known as non-specific effects and the subject-expectancy effect, is the phenomenon that a patient’s symptoms can be alleviated by an otherwise ineffective treatment, since the individual expects or believes that it will work. Some people consider this to be a remarkable aspect of human physiology; others consider it to be an illusion arising from the way medical experiments were conducted. ABC TV Australia 26 May 2011 broadcast – This was a most useful and interesting segment and gave a terrific layman’s explanation of this complex area of healing. The power of vodoo and hex or… in other words placebo (I shall please) and nocebo (I shall harm) is discussed in these two short videos copied from ABC’s Catalyst website. If you missed the program or even if you watched it; I suggest you take another look. The PET scan images at the end of the video titiled Vodoo – provide some tangible explanations as to why some people are susceptible to placebo and power of suggestion than others. 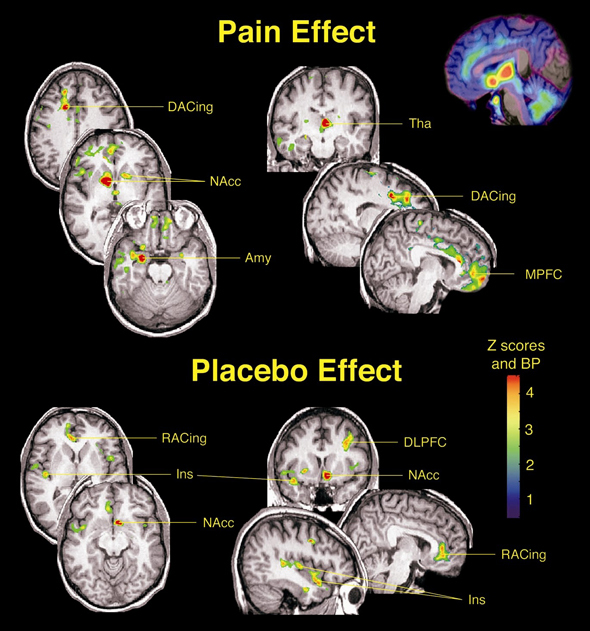 The outcome of a pain test reveals that subjects who are susceptible to the placebo effect produce significant amounts of opioids and the outcome of reduced pain. 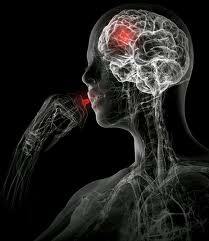 In fact these subjects can produce in their brain the equivalent of 10 mg or more of morphine! Others in the experiment for whom placebo did not work (15%) – experienced a nocebo effect – a decrease of opioids and therefore increased pain. Select video link below.